You'd expect me to make a ''Starman'' or ''Space Oddity'' joke here, wouldn't you? Sam Bell (Sam Rockwell) is an astronaut who is fast approaching the end of his three year contract with the Lunar Corporation. He has spent the last three years as the sole human operator of a Helium-3 mining platform on the dark side of the moon, and the monotony of his daily life is starting to wear upon him. Sam exercises, talks to his plants, talks to himself, and talks to GERTY, the suspiciously benign computer system (voiced with icy detachment by Kevin Spacey) that monitors the operations of the station. It's fair to say that Sam's job lacks the spice of life; variety. The only breaks in the otherwise bland landscape of Sam's existence are his occasional trips outside onto the lunar surface, at which point he uses his rover to investigate the mining vehicles themselves, either to retrieve their payloads or to repair them. It is during the course of one such mission that Sam has an accident, after which he finds himself in the infirmary of the station. It's at this point that the film could be said to truly start, and I would not wish to divulge too much of the story so the synopsis will cease here. It is tempting, when discussing Duncan Jones' Moon to describe it, or even dismiss it, as an homage to a certain breed of cerebral science fiction that were prevalent in the 1960s and '70s, and it's hard to deny that the term would fit the film; everything, from its pristine white production design to its themes of isolation and space exploration, echo films such as Kubrick's 2001: A Space Odyssey, Tarkovsky's Solaris and Trumbull's Silent Running. Even the working class view of space travel could be said to refer to Alien, a notion reinforced by the curious coincidence (or not) that filming took place on the same Shepperton stage as that seminal film. The list of films that have inspired Moon is simply too multitudinous to list here. However, it would be unfair to describe or dismiss Moon as merely an homage since, although it wears its influences proudly on its sleeves, the film does not continuously point at them. What I mean is, that whilst the film does have very obvious reference points for those viewers who are au fait with the sort of hard science fiction that Jones clearly adores, it does not feel like a film made for fans of that brand of science fiction as much as a film made by a fan of that brand of science fiction. It is less concerned with demonstrating Jones' literacy regarding the genre as it is concerned with telling its own story. Less an homage, more of a melange, there may be little original in Moon; its strength is synthesis. Jones and his crew explore this theme through their wonderful set design and effects work. For Sam's home, they create a sterilised environ that is both beautiful and disturbing. Whilst the symmetry of its corridors and the uniformity of its colour scheme may at first seem aesthetically pleasing, it soon comes to represent everything that is dehumanising about Sam's existence. The film takes place in only a handful of locations; either in the claustrophobic, minimalist world of the Kubrickian mining station, or within the close, dirty confines of the lunar rover as Sam traverses the cold and indifferent surface of the moon. Jones takes every opportunity to emphasise how profoundly alone Sam is, right down to having GERTY communicate through only a soothing monotone and generic emoticons. Against the disheartening desolation of the lunar surface we see the more intimate drama of Sam and his progressively worsening condition. As Sam, Rockwell proves once again that he is one of the most eminently watchable actors of his generation, delivering up a performance that manages to be funny, cocky, broken, mournful and heroic without once delivering a line that feels false or a sentiment that feels trite. He is completely committed to the role and provides an emotional orbit for the rest of the story to revolve around, which is all the more impressive since he is acting against no one other than himself for the duration of the film. So, I have no qualms with the aesthetic of the film or the performance(s) at its heart. My criticisms of the film stem from a much more fundamental vein; the story itself. And, by the very nature of the story, I cannot truly go into any discussion of the problems without ruining it. In the interest of journalistic integrity, I shall couch my critique in as innocuous terms as possible. Firstly, the story is quite obvious and predictable. That is not to say that it is cliched or unoriginal, merely that once you get 20 minutes in, it is entirely possible for you to see where the remaining 77 minutes are going. The major events are so clearly signposted that any sense of the unknown that may have been suggested by the premise quickly evaporates. Secondly, there are ideas in the film relating to the wider society in which the events take place that are not explored, or even mentioned, until quite literally the final seconds of the film. Though this does add a provocative flair to the film's dying moments, it also raises some frustrating questions, never to be answered. Though this made for some interesting talking points after the film ended, it still left me disappointed in Jones' seeming unwillingness to pursue his ideas to their conclusion. 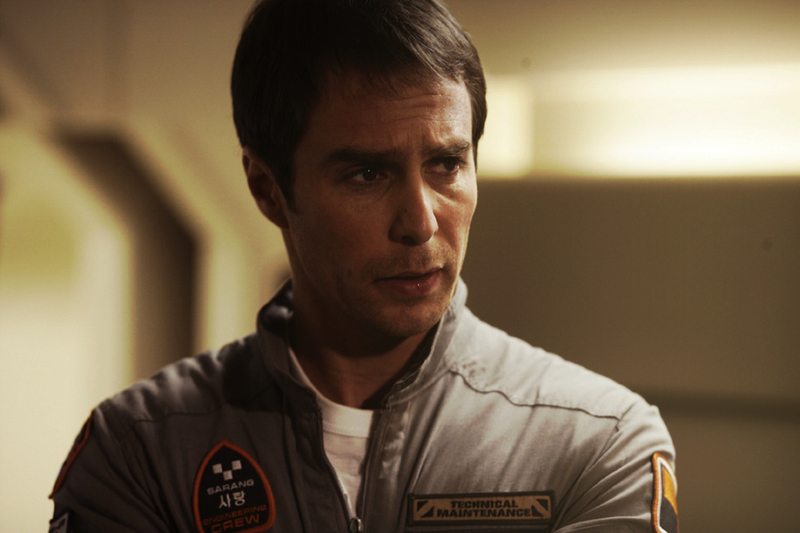 These misgivings aside, Moon proved to be an intelligent, ideas-driven piece of science fiction that entranced me from the start and, even if I could see where the film was going, that did not detract from the thrill of the journey itself.